KAYBED is neither the oldest nor the biggest mattress manufacturer. It is the best in his work and the youngest mattress manufacturer at the same time ! 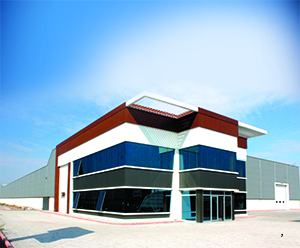 By the support from its automatic assembly line, KAYBED has a production capacity of 1,000 mattress/day installed on modern and hygenic facilities planted on 10,000 square meters area located at Kayseri Organized Industrial Zone. As well as having an expertized and experienced line in the sector, KAYBED with its INNOVATIVE mark aims to increment standart line of matress manufacturing in the sector by its MODERN production and marketing apprehension. KAYBED which has a sense of social responsibility consciousness and shows respect to ethical values yet innovative plays an important and pioneering role in the sector. The company strengthens its corporate management pattern and develops strategies that increases yield in local and international markets by stable and balanced growth. Each phase of integrated production line was programmed to proceed from scratch. Each piece of raw material which is to be processed enters to line from starting point and they become a component to be used in mattress manufacturing. During these procedures, by showing a environmental friendly approach and SENSITIVITY, none of materials which are risky to public health and not in accordance with international standards shall be used. Combining quality with aesthetics and elegance, KAYBED offers latest trends complemented with its style to its customers. Mattresses, Base, Headboard and Mattress Products are standing ready at KAYBED’s modern factory and warehouse facilities. KAYBED who combines numerous technologies, has a customer oriented production mission in its “MATTRESS FACTORY”. Towards this mission; KAYBED targets unconditional customer satisfaction by keeping product design and QUALITY at its best, accomplishing after sales services with care and steadyness. One of the most important exceptions that makes KAYBED distinctive from other manufacturers is that it designs products that fit other countries’ sleeping culture and needs, tastes and expectancies. KAYBED, being particularly named as “PRIVATE LABEL” and positioned as a manufacturing vendor; offers special branding, collections and designs according to demands. KAYBED sees each customer as a new project and deals with identical interest, thus, is glad that customers have their products at their homes.